This is the video that we talked about this episode that gives you the Star Wars Canon timeline as it stands right now. That’s not to say that it won’t change especially considering that there are so many stories that were removed from Star Wars canon when Disney purchased the rights to the franchise. Series like Star Wars Rebels and Clone Wars have done a good job of bringing some of those characters back so it’ll be interesting to see who or if anyone else is introduced with the upcoming Star Wars films. 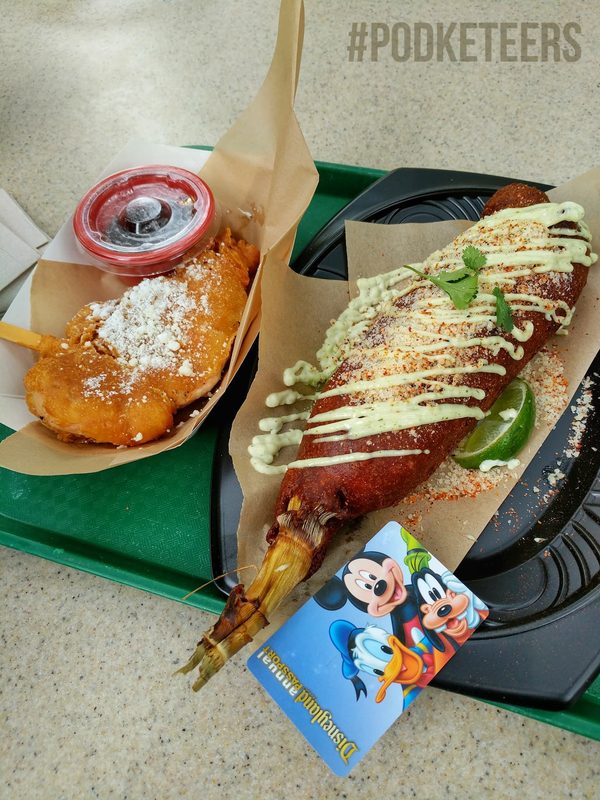 Javier recently headed down to DCA and had a chance to try some of the new food offerings at the Paradise Garden Grill, they are: the Chicken & Waffles Skewer ($8.49) and the Crispy Battered Corn on the Cob ($9.29). The Chicken and Waffles Skewer is essentially a portion of chicken and waffles on a stick. Basic but cool. Alongside a maple syrup dipping sauce with bacon and sage this is a delightful deep-fried treat. The Crispy Battered Corn on the Cob is really the more interesting of the two because you generally don’t think of corn on the cob as an item you want deep fried surrounded by batter but according to Javier it’s very delicious. It’s basically made like a corndog but topped cilantro-lime mayonnaise, Parmesan cheese , a sprig of cilantro, a couple of slices of lime and chili powder on top. This is very similar to the “elotes” sold by street vendors throughout Southern California (minus the deep fried breading). Have you tried either of these items yet? What did you think? Was it hard to eat the corn on the cob? Let us know in the comments below! We’re trying to decide on a time/date/format for our next movie meet-up to watch Pirates of the Caribbean: Dead Men Tell No Tales. If you plan on heading to the meet-up and haven’t had a chance to vote yet let us know which you would prefer on the Instagram or Facebook post, or in the comments section down below. On May 13, 1992, Fantasmic! debuted at Disneyland and for 25 years people have been enjoying “Mickey’s imagination”. With new projection technology the new version of Fantasmic! is slated to have new scenes from Aladdin, Tangled, The Lion King and (one of the biggest changes we’re looking forward to) Pirates of the Caribbean. 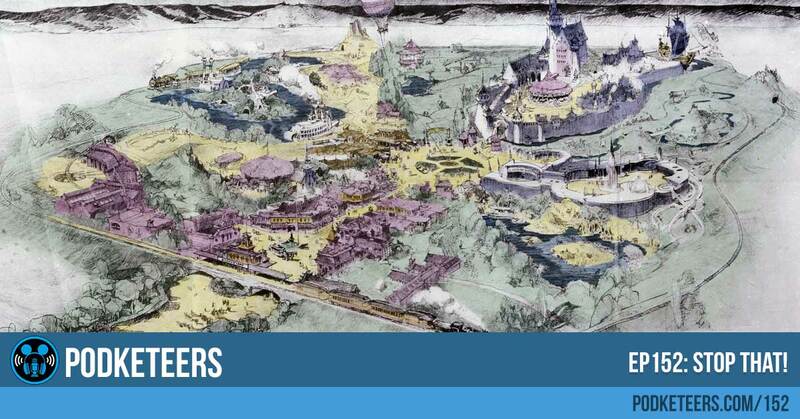 A piece of concept art recently released by the Disney Parks Blog shows off what the Aladdin scene might look like. Although this is still just concept art, we already feel that this looks amazing! No date has been announced for the return of the show but we’re certainly looking forward to it! What are your thoughts on Fantasmic! getting updated? Leave a comment down below. It’s wrong. Coming from ABC News, this was surprising. It might be misleading. Anyone interested in buying this piece might purchase it under false pretenses. We always do our best to provide information that is accurate but we’re human and we make mistakes. 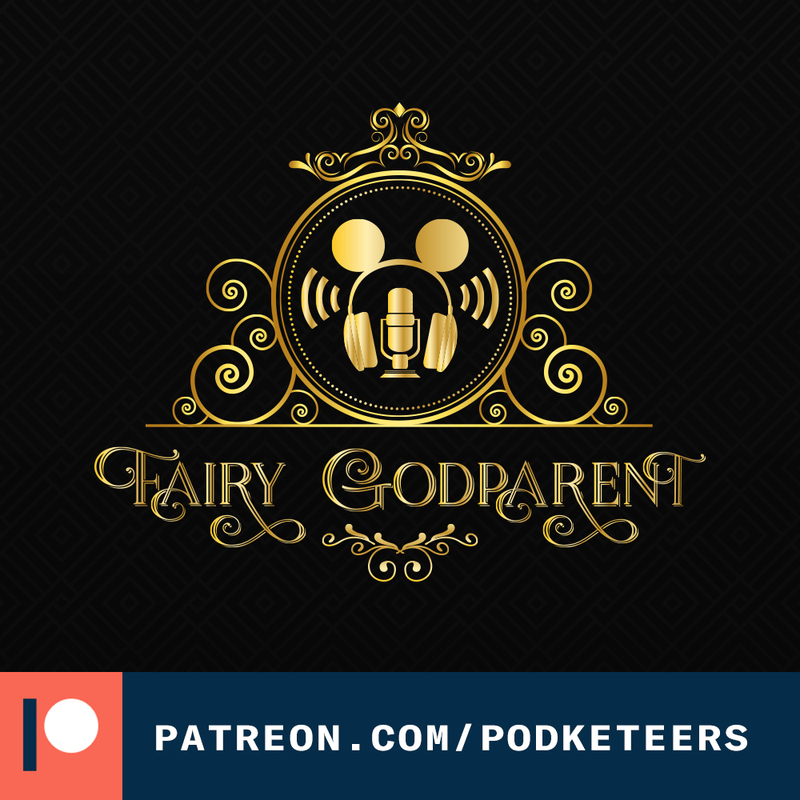 Along those sames if a mistake is made we do our best to correct in via an update to the post or clarify in an upcoming episode. So what do you think of this? Is it a big deal? 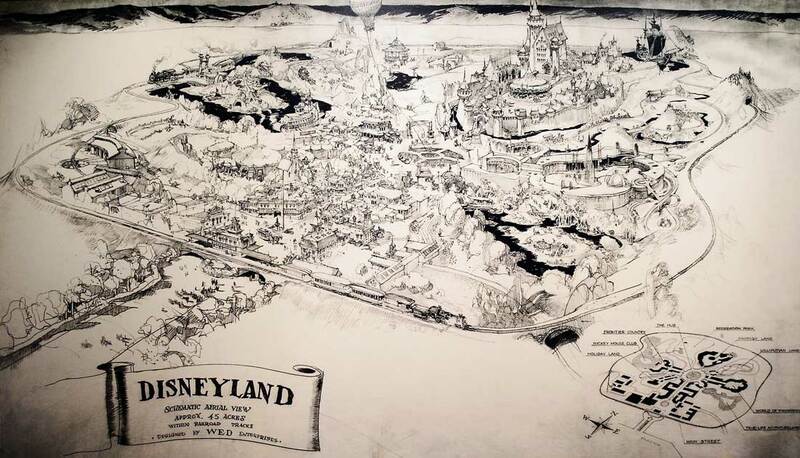 How would you feel if you thought you were purchasing an item “hand-drawn by Walt Disney” only to find that he may have simply just watched while it was being drawn? Leave a comment down below, we’d love to hear your thoughts.